Bagno Vignoni is one of the most picturesque and best preserved medieval villages in Tuscany. Located in Val D’orcia, nestled in a picturesque landscape and world famous vineyards, and part of the municipality of San Quirico d’Orcia Siena is known worldwide for the Spa, whose activity dates back to Roman times. 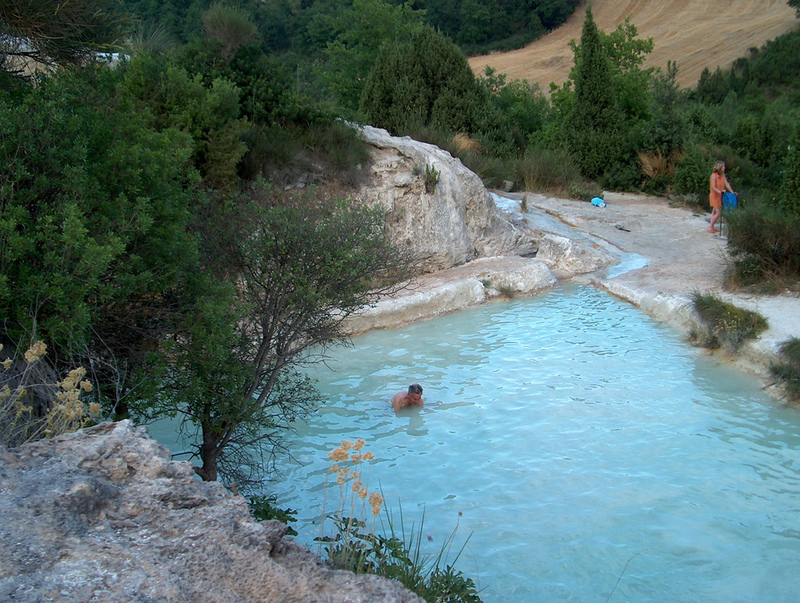 Bagno Vignoni is a singularity because the urban Inns, homes and the Church of Saint John the Baptist grew around the tub in which flow from the original thermal spring waters, volcanic soil. This conformation makes this hot location and function that normally belong to the main square of a country.